N.Y. Judge Grants Legal Rights To 2 Research Chimps : The Two-Way Manhattan Supreme Court Justice Barbara Jaffe's order Monday grants two research chimps the writ of habeas corpus. The decision, says Science magazine, effectively recognizes chimps as legal persons. 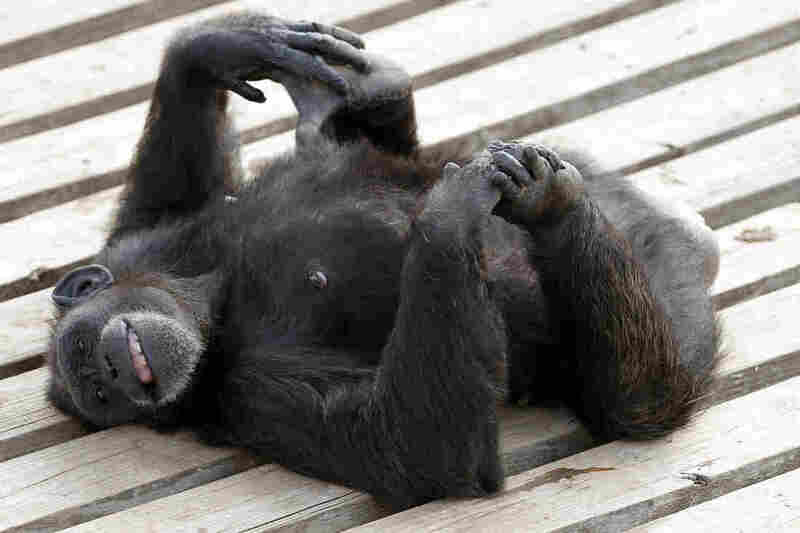 Star enjoys a moment in the sun at the Chimp Haven sanctuary in Keithville, La. The judge in the case has amended her ruling to strike out the term "writ of habeas corpus." It is now unclear whether Hercules and Leo, the chimps at Stony Brook University, can challenge their detention. You can read our post about the amended order here. A New York judge has granted two research chimps the writ of habeas corpus — a move that allows them to challenge their detention. The Nonhuman Rights Project filed a suit on behalf of the two chimps in the Supreme Court of Suffolk County in December 2013, but that court refused to issue a writ of habeas corpus, and its appellate division dismissed the suit. The group appealed to the New York County Supreme Court in Manhattan, which ruled Monday in the case.